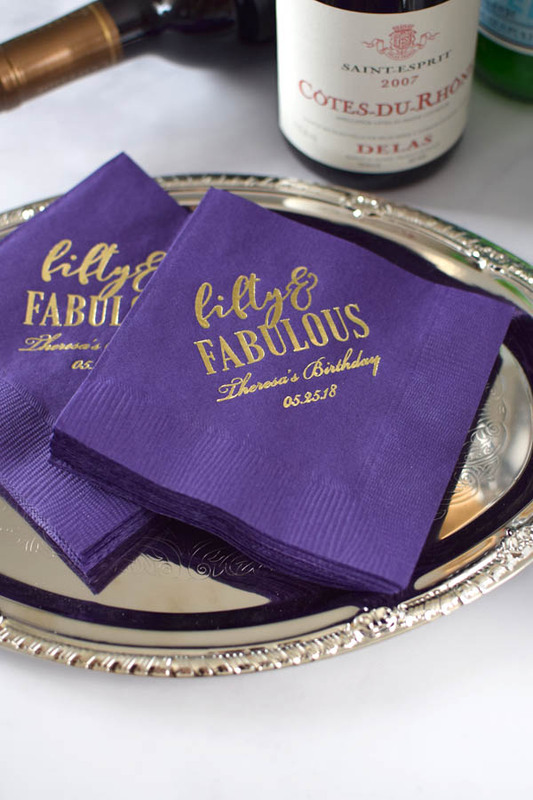 Set 5 x 5 cocktail napkins out at your bar, drink table, and to use with appetizers during your milestone birthday party celebration. Napkins are made from non-recycled 3-ply paper in the USA. I am very pleased with my napkins. The color and imprint colors are exactly how it needs to be. The cocktail napkins arrived just as ordered.